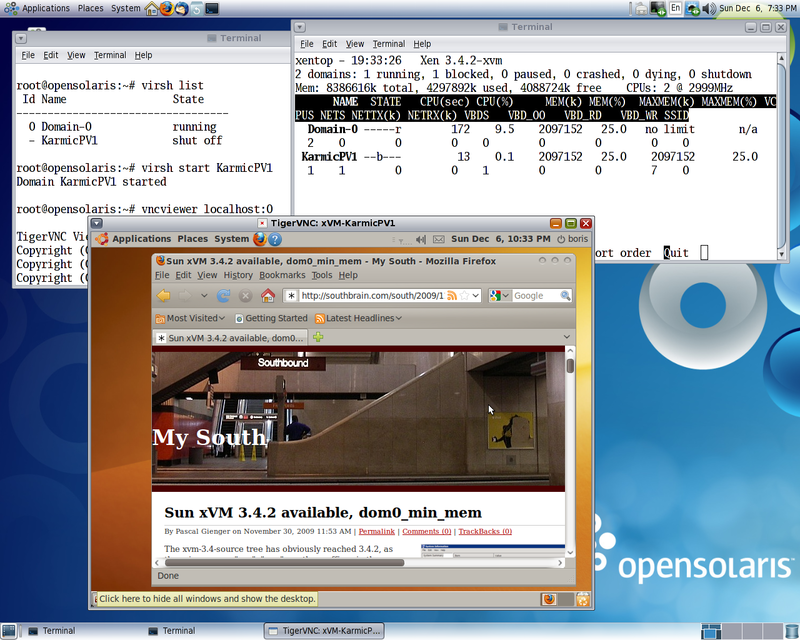 and perform all actions above in new BE, avoiding “svcadm enable milestone/xvm” on osol-128a. 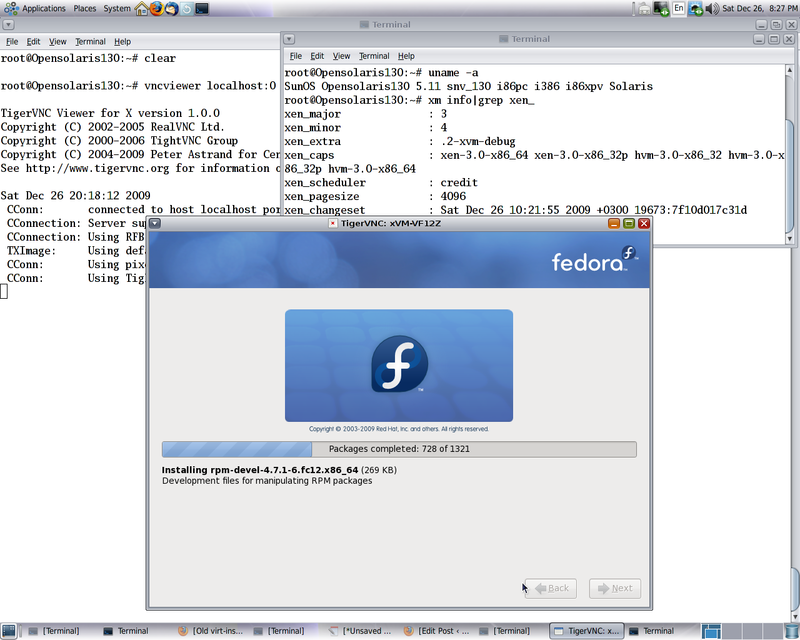 Build on 11/30/09 was still affected. 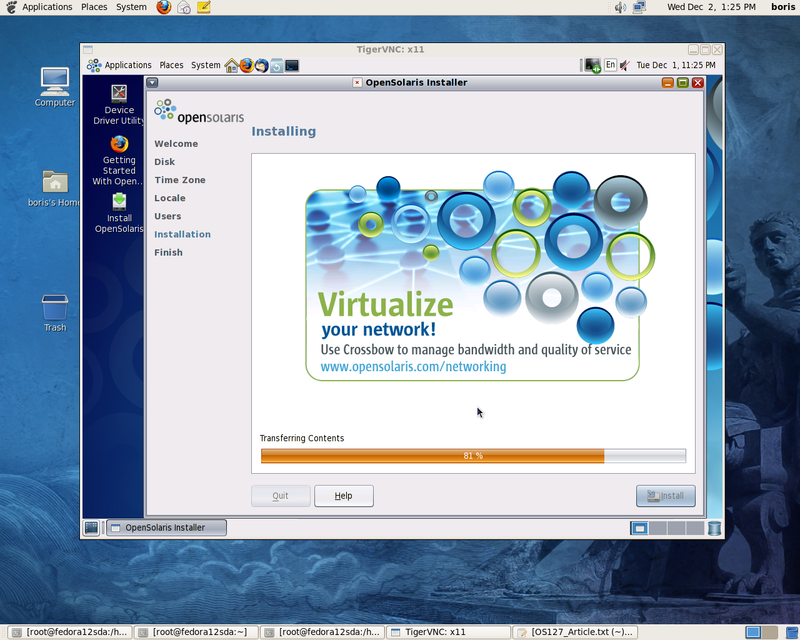 2. xVM 3.4.2 host reboot, followed by several virt-install attempts works for me , only when xVM packages are installed on OSOL128a , been built probably on higher OSOL version. 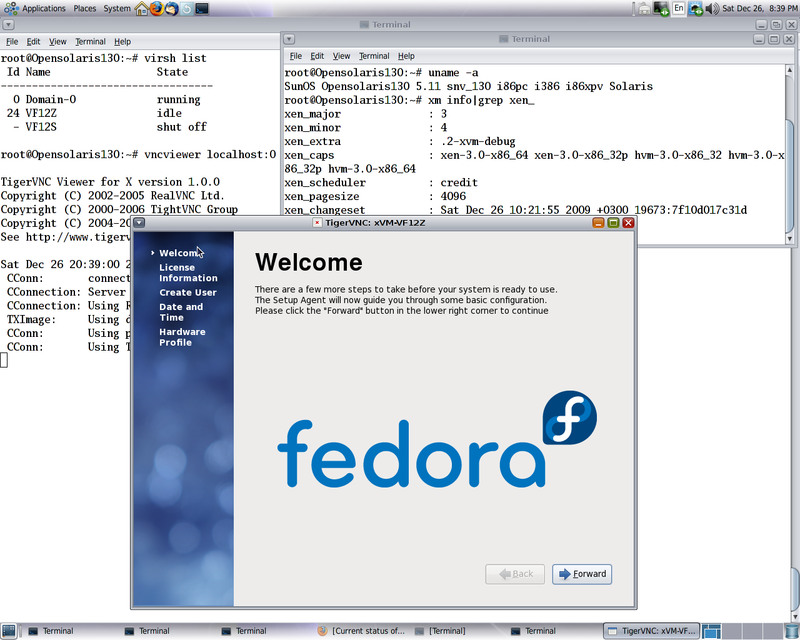 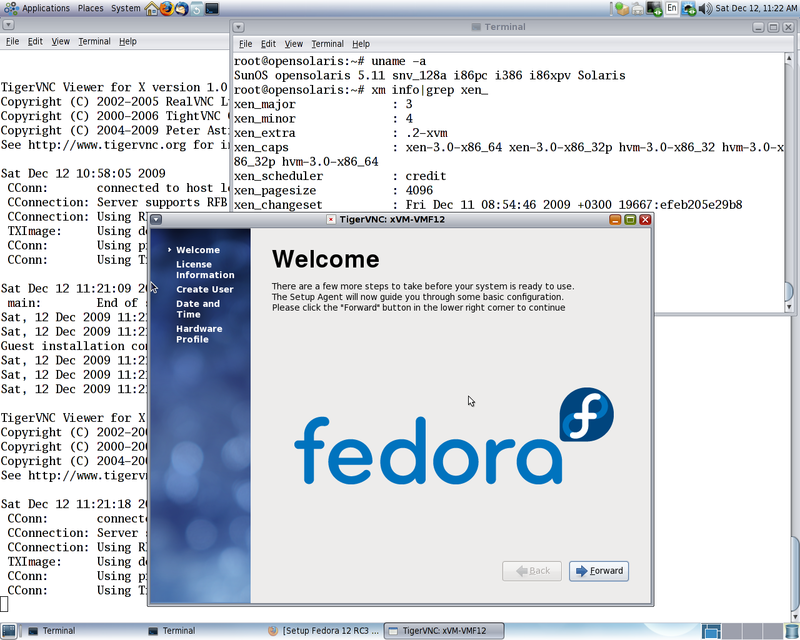 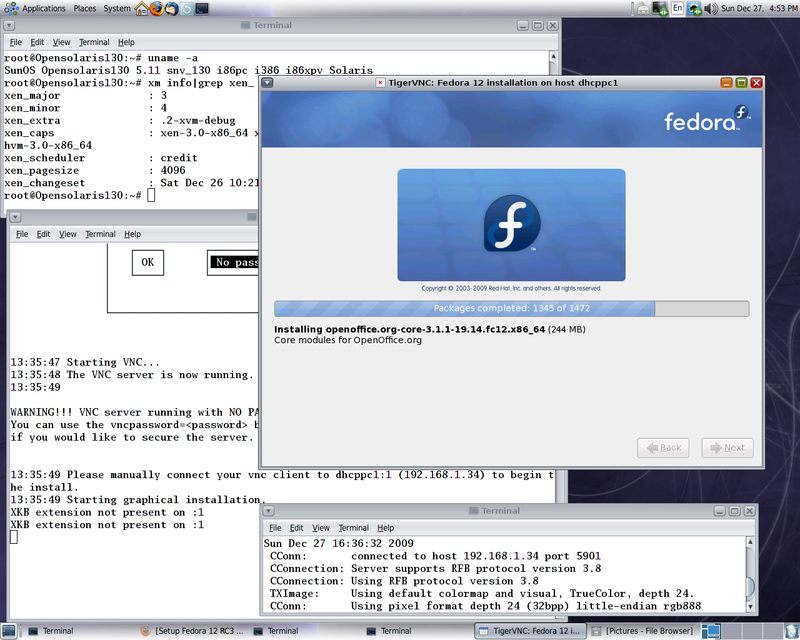 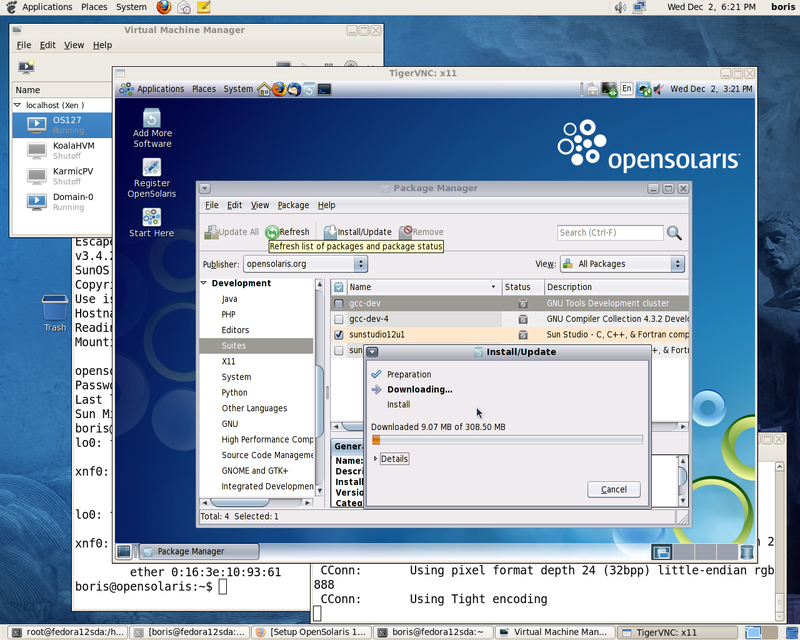 Blog entry  was written by John Levon and supposed to help community users to install OSOL 2008-11 DomU at Xen 3.1 Dom0 on top of Fedora 8. 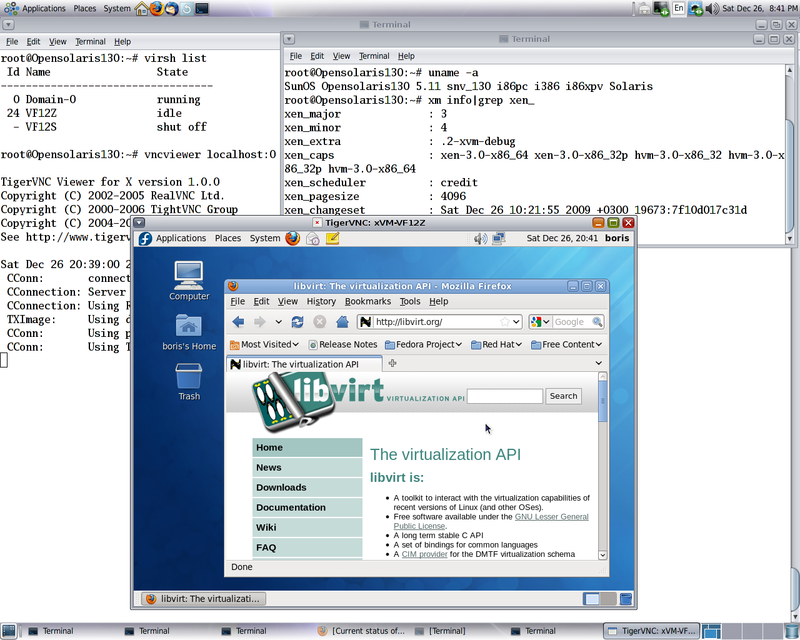 It’s core technique utilizes virsh , so is supposed to be applicable to current release of Libvirt as well. 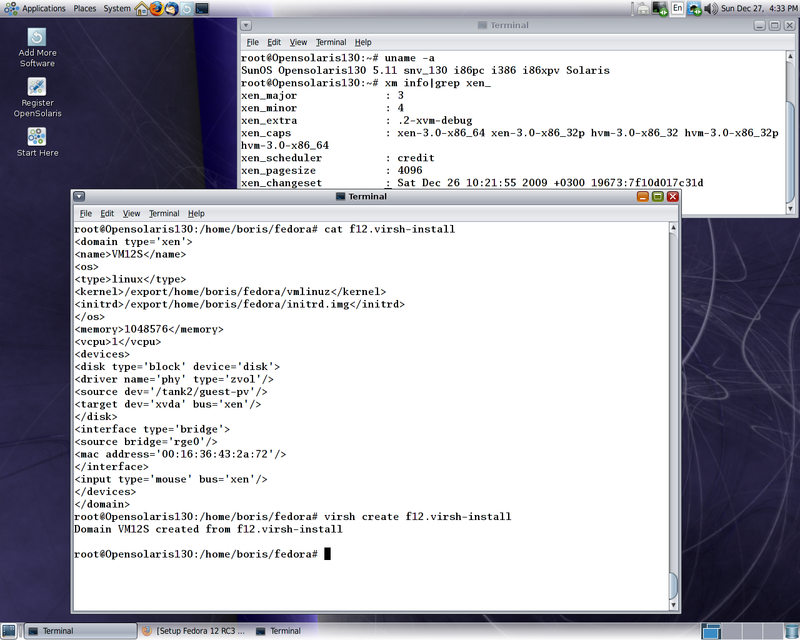 However , /usr/bin/xenstore-read fails to obtain IP address for OSOL DomU via XenStore at Xen 3.4.2 Dom0. 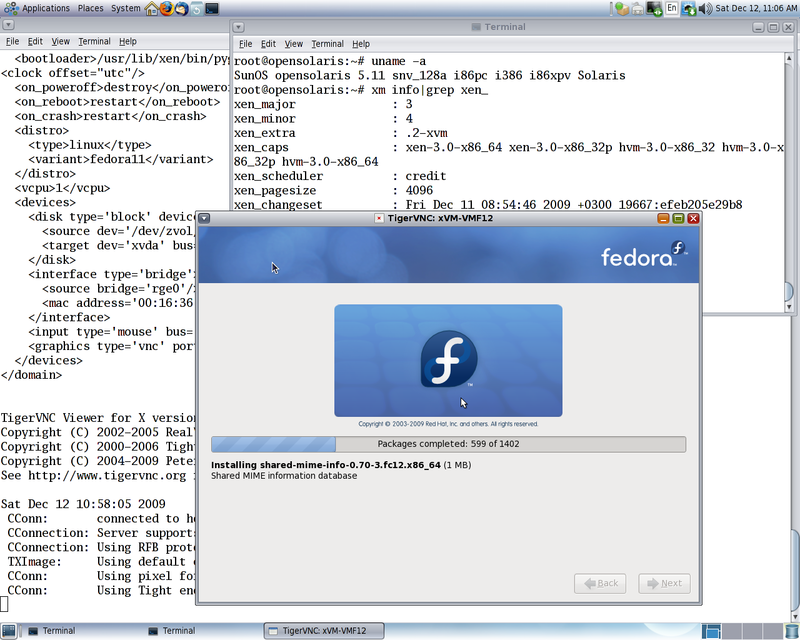 Posting bellow fixes this issue and provide an option to build via virsh the most recent OSOL PV DomU at Xen 3.4.2 Dom0 & Libvirt 0.7.1-15 on Fedora 12. 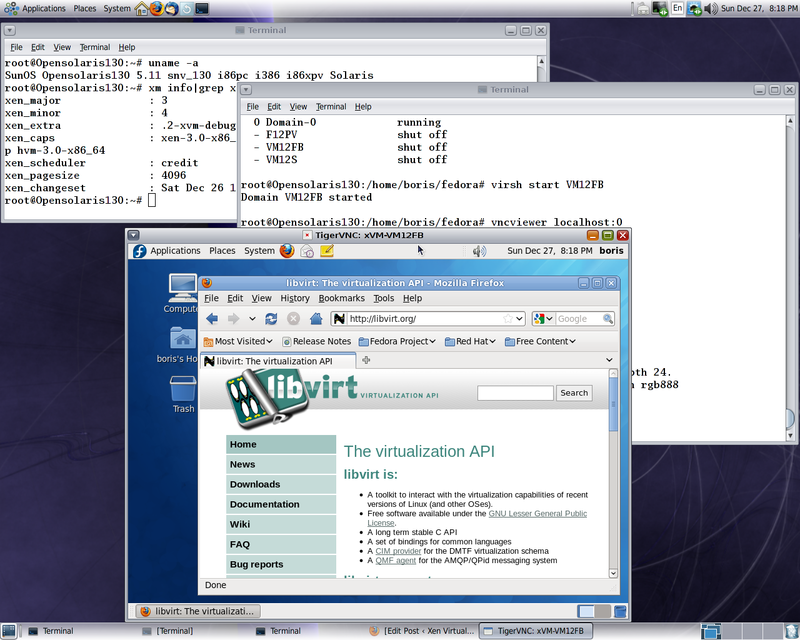 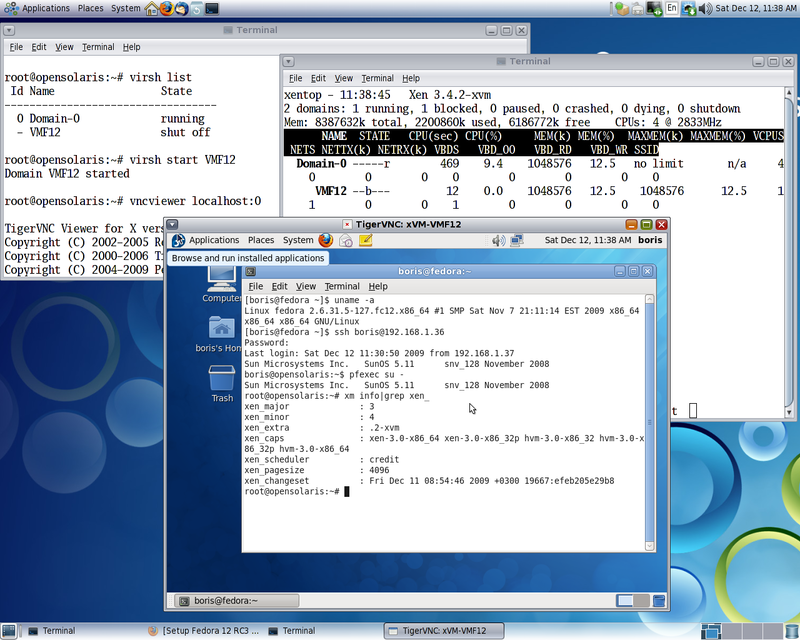 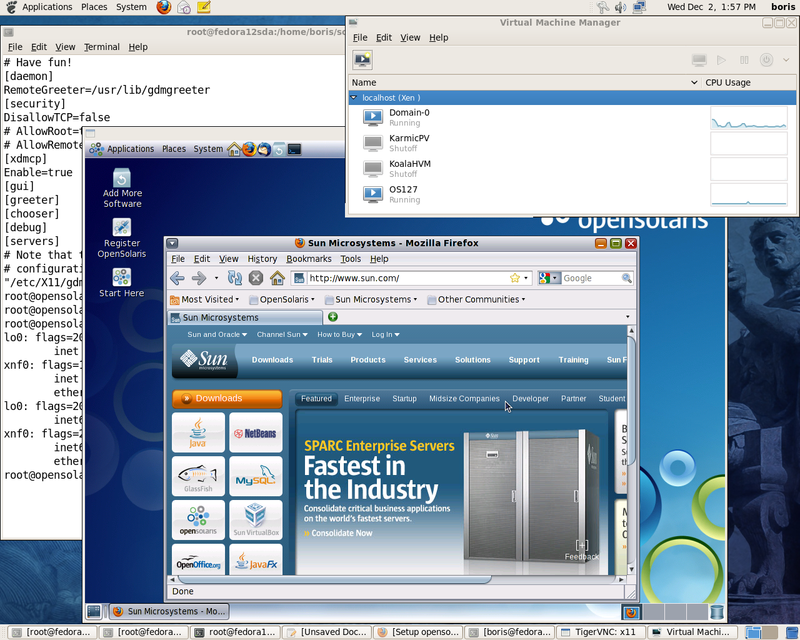 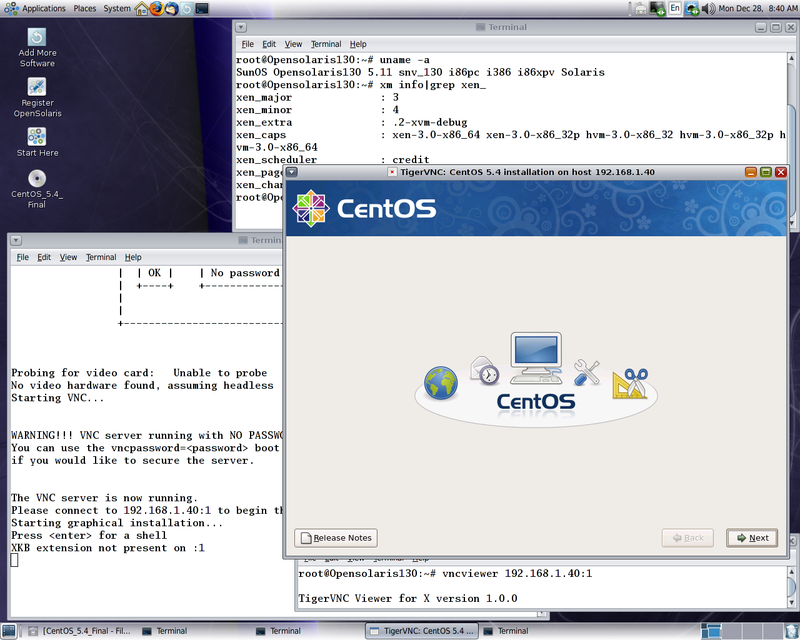 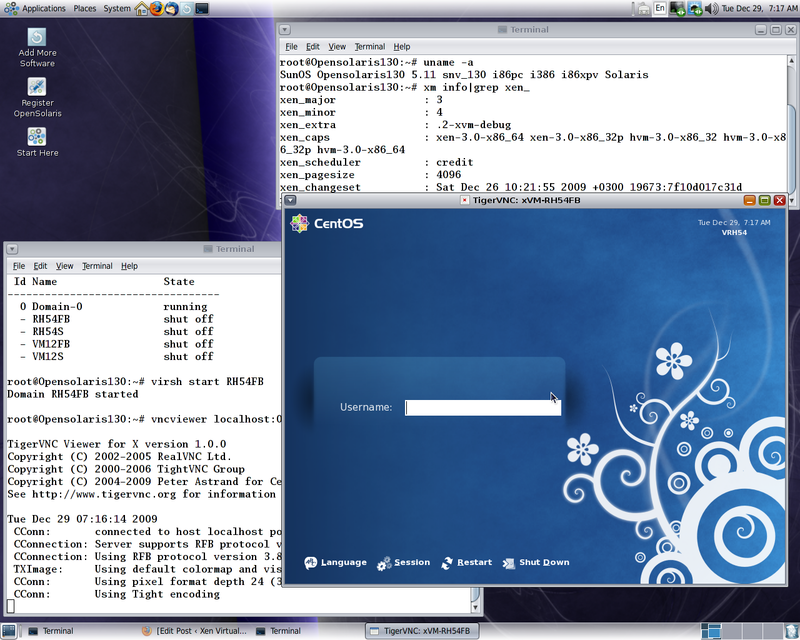 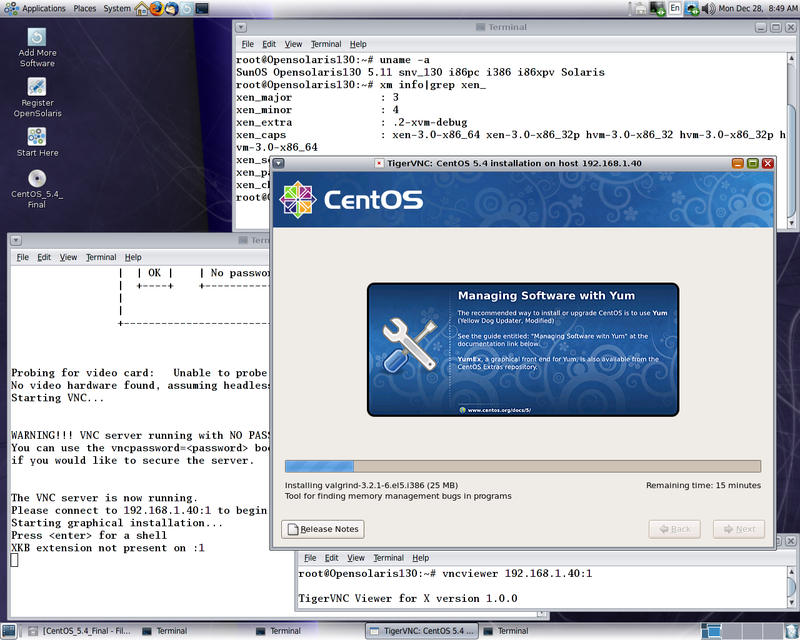 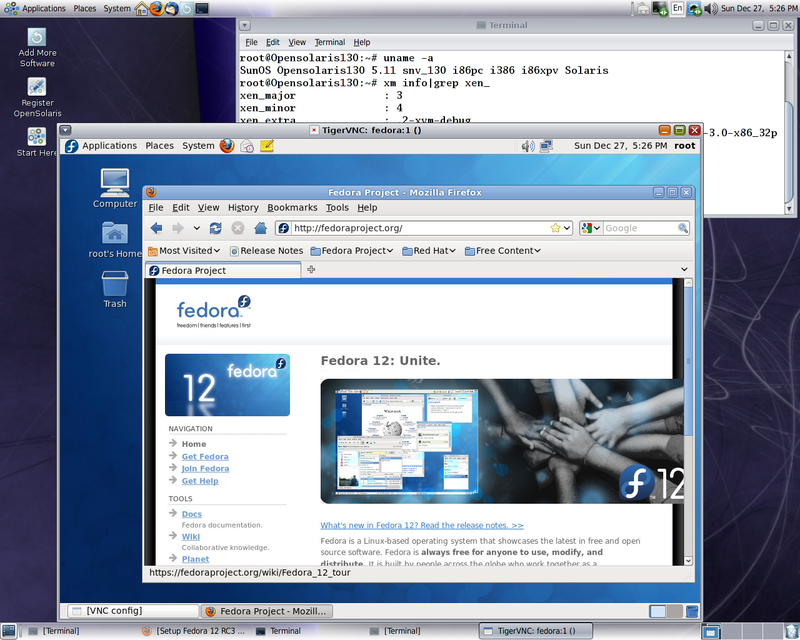 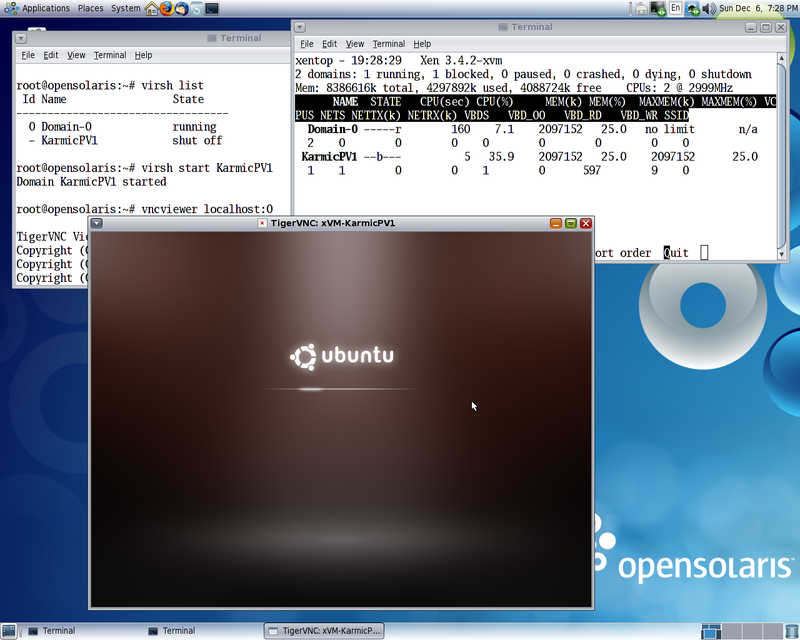 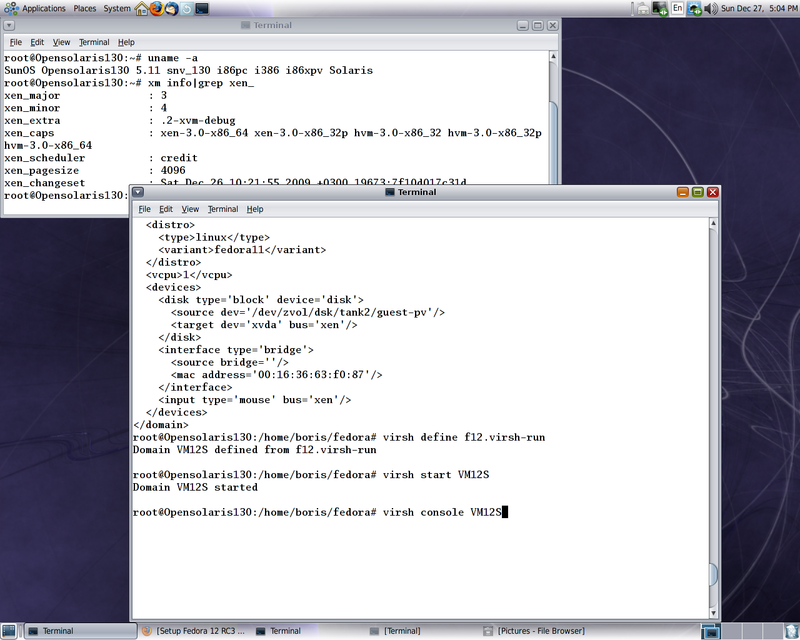 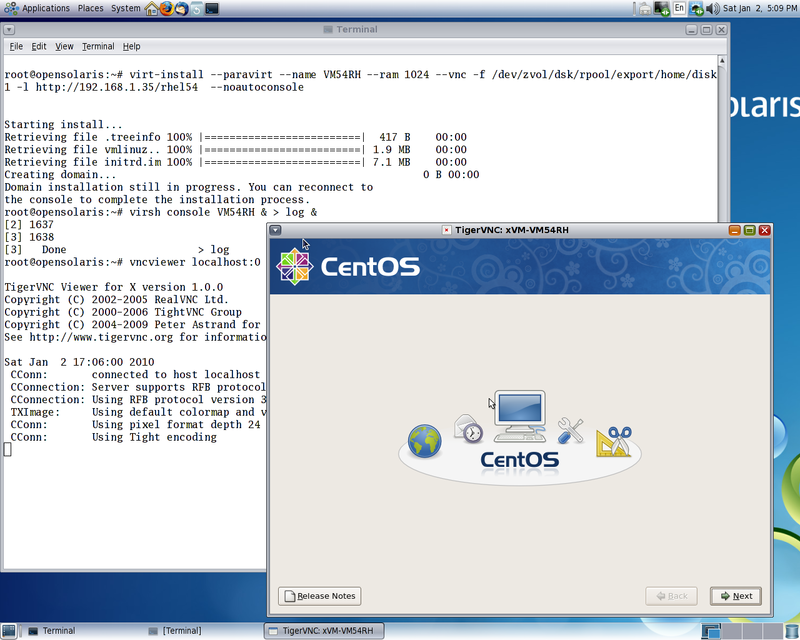 You are currently browsing the Xen Virtualization on Linux and Solaris blog archives for December, 2009.